A shortened week due to Thanksgiving. Markets to focus on durable goods, Trump transition, and upcoming Italy vote. The market’s recent reaction to a Trump victory adds fuel to what was already an improving fundamental backdrop (graph, below). How are fundamentals improving? For starters, the bottom-up S&P 500 12-month earnings forecast advanced from a monthly average of $123.52 in the first quarter to $129 currently. 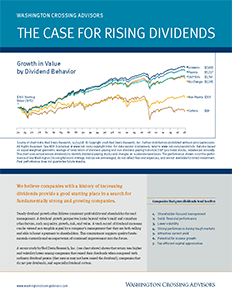 Risk appetite improved and higher-risk stocks and bonds both outperformed their lower-risk counterparts. Long-run inflation expectations firmed from 1.4% to 1.75%. A pickup in China’s economy, firming commodity prices, the passing of the British referendum (without immediate disruption), and a tempering of expectations for Federal Reserve (Fed) rate hikes all contributed to improved prospects. We can now add to this list expectations for some form of U.S. government stimulus program under the incoming Trump administration. Most of the inputs to our WCA Fundamental Conditions Barometer are still flashing positive signals as we head toward year-end (graph below). Although the near-term risk of recession appears to be lessening, there are things to pay attention to further out. Italy will hold a referendum on December 4, for example. Italy, suffering from slow growth and problem loans in their banking system, faces a choice. Prime Minister, Matteo Renzi, is seeing constitutional change in order to expedite a pro-growth program and other reforms favored by European Union leaders in Brussels. The referendum requires a “yes” vote for to allow a change in Italy’s constitution that would help expedite his package of reforms through Italy’s Parliament. A “no” vote, on the other hand, would signal a lack of public support for his government, maintain the power of the senate, likely lead to Renzi’s resignation, and move anti-European Union parties closer to power. 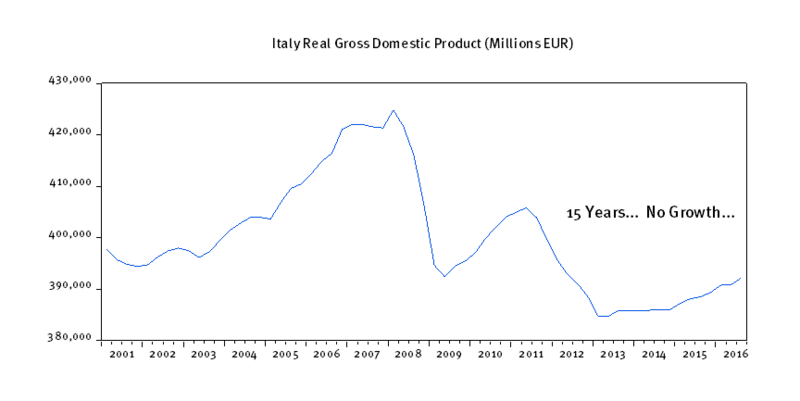 Given that Italian banks hold roughly $400 billion in troubled loans, according to the International Monetary Fund, and the country has experienced over a decade of stagnation (chart below), the vote comes at a critical time for Italy and Europe. Looking a year or more out, we are watchful for developments on trade. While very little is known about the specifics of a fiscal stimulus under a Trump administration and a Republican-controlled congress, even less can be said about President-elect Trump’s trade agenda. A domestic growth program is now more likely, but the longer-term battle over trade has the potential to increase risks to global growth and stability down the road. However, if the domestic stimulus is seen as a prelude to a harder stance on trade, the net benefit to long-term growth may be less than what has been implied by the financial markets’ initial reaction post-election. Just as a “spoonful of sugar helps the medicine go down,” the initial “feel good” pump priming of tax cuts and spending may help in any eventual negotiations with trade partners designed to address “imbalances.” Those actions could very well prove to be more difficult and more of a drag on long-run global growth. However, we think these efforts on trade are likely more of a long-run agenda. We expect the new administration to focus fiscal initiatives first (frontloading growth), and later, a trade initiative (dampening growth down the line). Therefore, we are back to carefully analyzing what markets and other trends in data tell us. 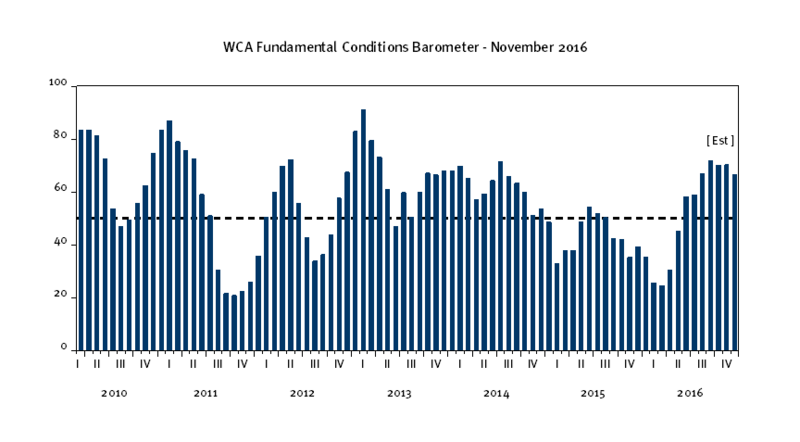 For now, we see the WCA Fundamental Conditions Index indicating relatively good things as we are set to close out the year. We expect the index to close out the final quarter of 2016 indicating that near-term growth is picking up and recession risk is fading. Our current forecast has the barometer north of 50 with an average reading in the high-60s through the remainder of the quarter. Consequently, we are making no change to our “overweight” equity / “underweight” bond call at this time. This week will be a holiday-shortened week for Thanksgiving. Wednesday will bring a release of durable goods orders, often seen as a good barometer for near-term economic growth. 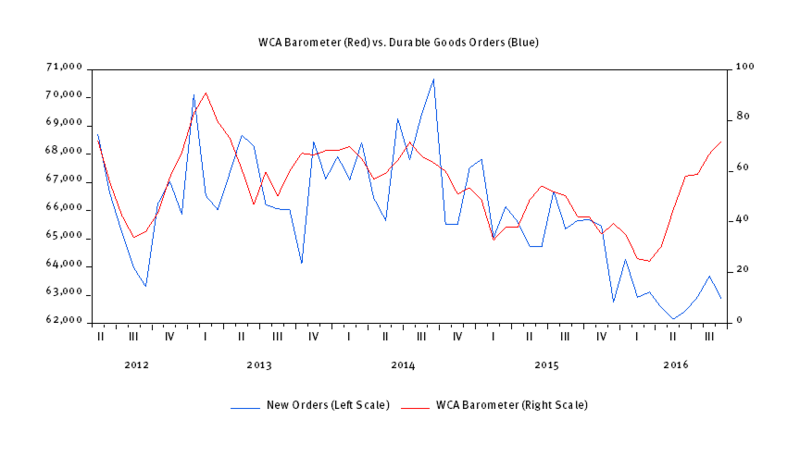 We are watching for a pickup in the orders component of the report as the current level appears low relative to the pickup in the WCA Fundamental Conditions Barometer (graph below). Given the sharp improvement seen elsewhere in recent months, we would expect to see some lift in orders. LONG-RUN STRATEGIC POSTURE: Our long-run forecasts lead us to overweight large cap domestic growth stocks, high-yield corporate bonds, and gold in the diversified “core” of portfolios. Underweight positions in “core” are long-term U.S. Treasuries, foreign developed equities, and REITs. 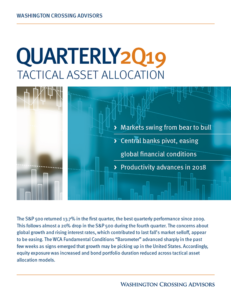 The equity allocation in the short-term tactical “satellite” portion of portfolios currently stands at 60% equity / 40% fixed income.